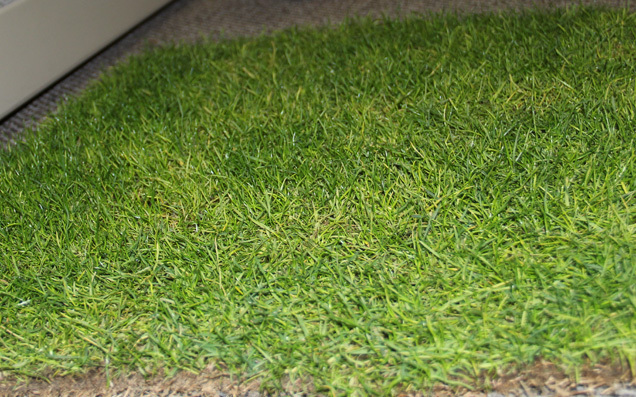 There’s a small patch of grass, only two square feet in size, sitting inside the portable construction offices outside Levi’s® Stadium. 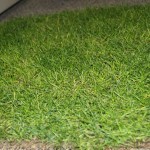 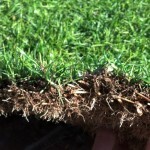 And it’s the same turf that will eventually cover the ground floor of the 49ers new home. 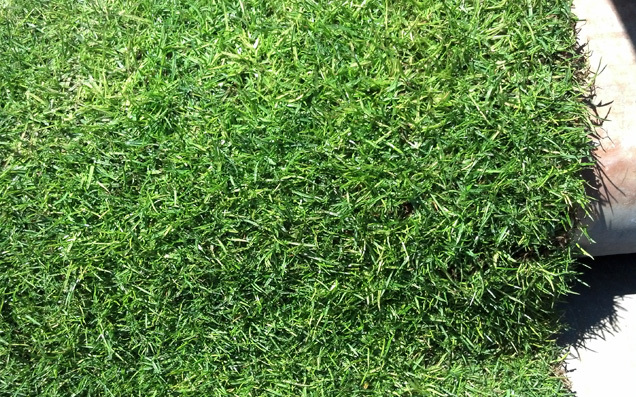 Yes, as was the case for most of the team’s five-decade run at Candlestick Park, San Francisco will play its games on natural field. 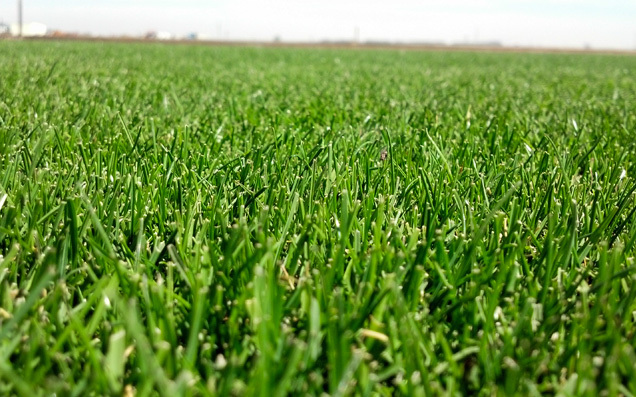 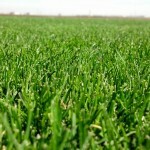 The grass, which started growing over a year ago at West Coast Turf in Livingston, Calif. will be cut into strips 42 inches wide and brought via refrigerated trucks to Levi’s® in April. 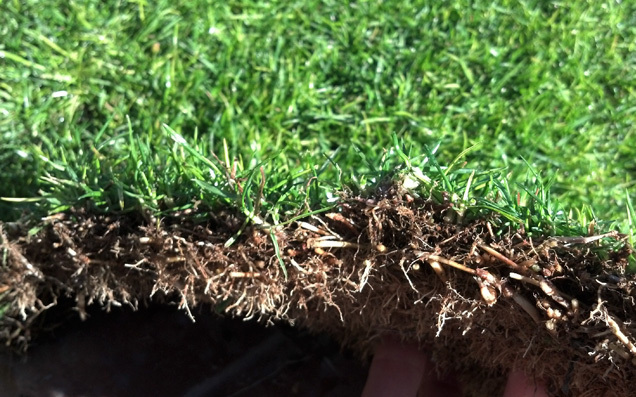 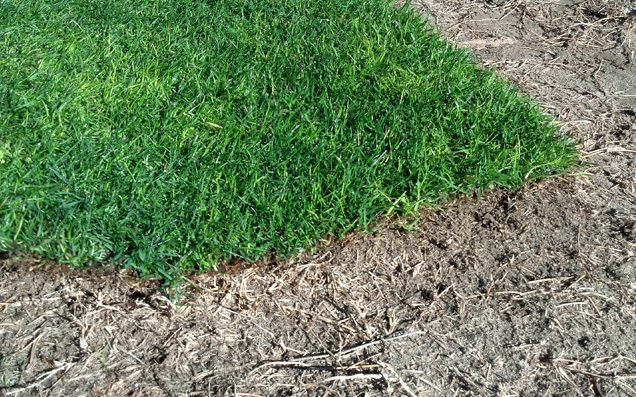 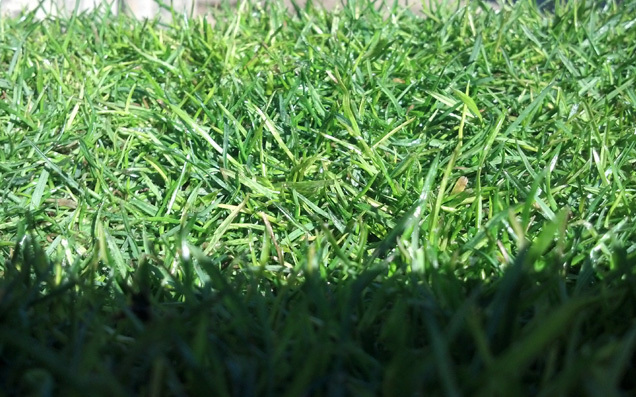 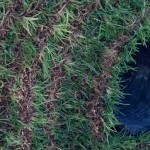 Turner Devcon project engineer Laura Skinner snapped the pictures above during her visit to West Coast Turf last week and took the sod sample back with her. 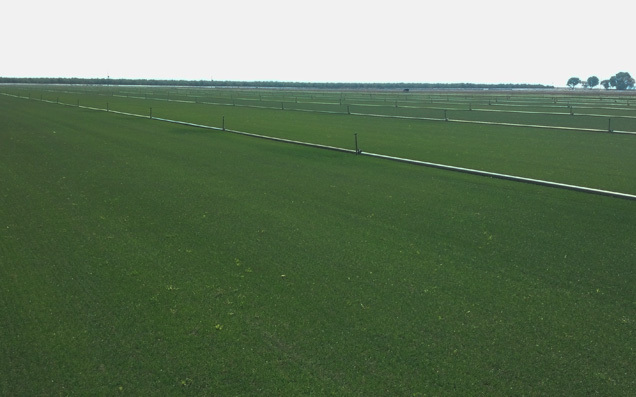 Before the grass makes the two-hour drive to Santa Clara, it will be cleaned: Water will be sprayed at it through jets from both the top and the bottom while it rolls along, strip by strip, on a conveyor belt. 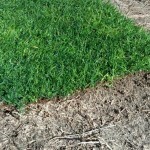 This process will remove residual soil. 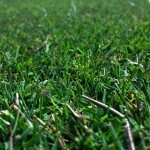 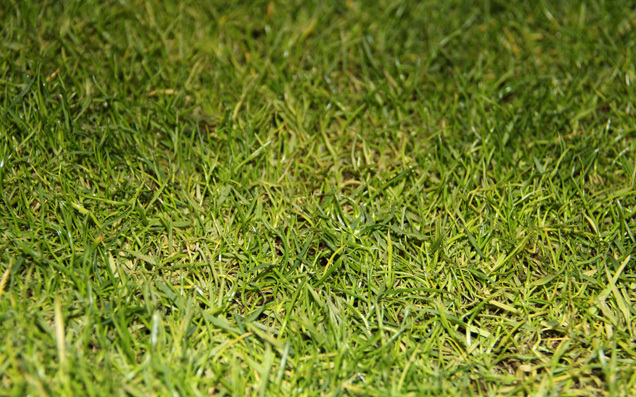 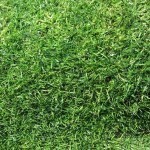 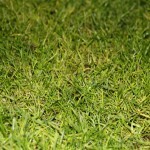 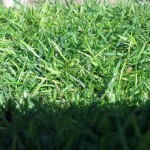 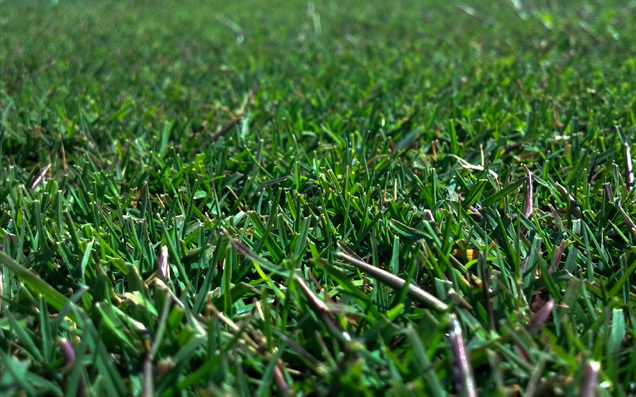 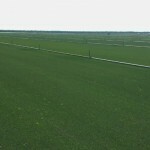 The Bermuda Bandera has been overseeded with Rye grass to ensure the rich color, which will stand out more on TV. 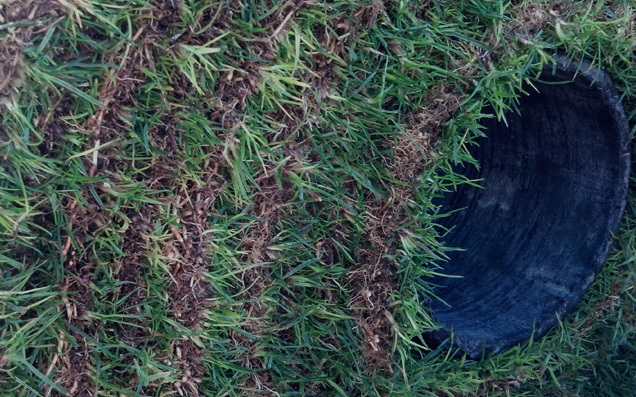 So, no, the grass isn’t always greener, but it appears these blades will be.